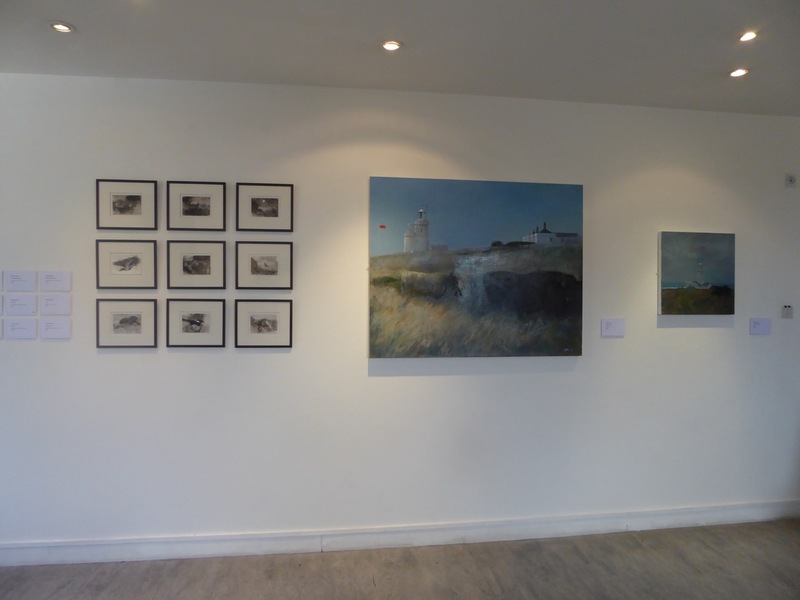 The exhibition opened on Saturday, 8 April at The Clayden Gallery, Quay Arts Centre, Newport Harbour, Isle of Wight and runs until 1 May. We had a great turn out for the opening, the weather was glorious and it was a lovely occasion. Richard Long is showing in the West Gallery at Quay Arts and his exhibition ‘Six Walks for the Isle of Wight’ opened on the same day. I have always liked Long’s work and was interested in the Q & A session which he gave that afternoon. Our work could not be more different, his ranging across the world and apparently making no reference to other art practice beyond his own experience of walking and interacting with the landscape; in contrast I have always referred to the art of the past and how landscape has been a subject for painting and poetic engagement over many centuries. However, in a small way I think our exhibitions turned out to be complementary. Molly and I focussed on a very small stretch of coastline which we know intimately. 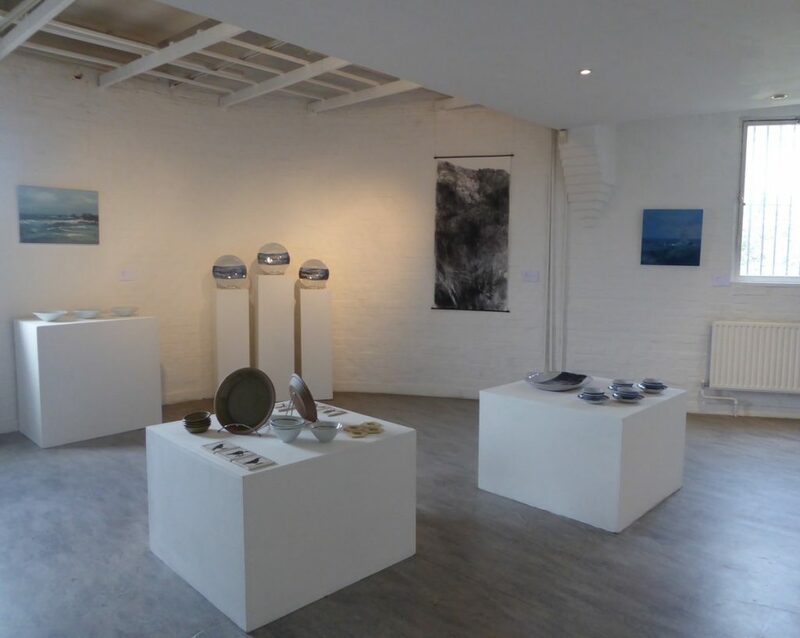 As part of his exhibition Richard Long made a site specific wall painting of mud from the River Medina, while Molly used local clay found on the beach to glaze some of her pots. 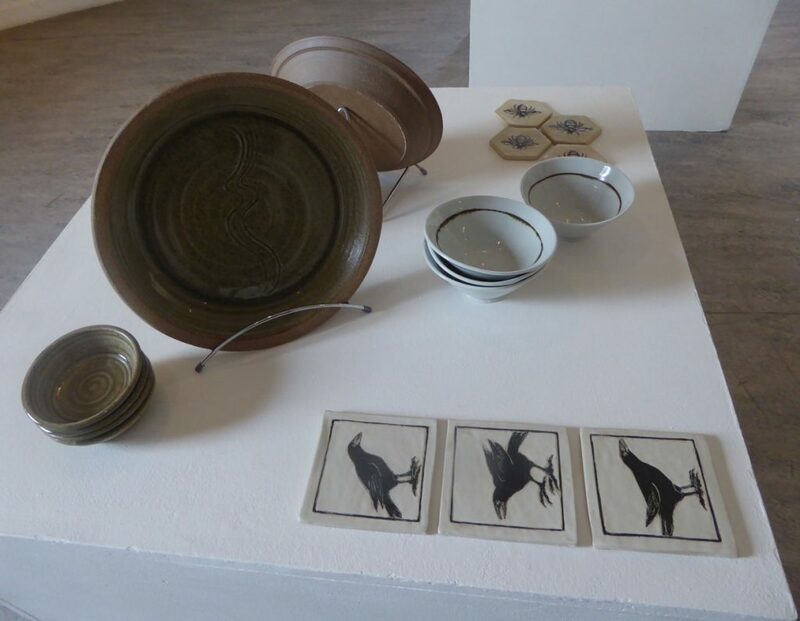 The decorations on her pots and tiles of crows, magpies and fish were given a context in my paintings and drawings of the landscape and the sea. And my tiny ink drawings were made from sepia ink, derived from cuttlefish (although I must admit not from local ones). Molly and I are pleased with our collaboration, the first but maybe not the last.